I’ve always wanted to have a go at cake decorating and thought it would be really difficult. I’m happy to report that not only is it easier than it looks, it’s a lot of fun. 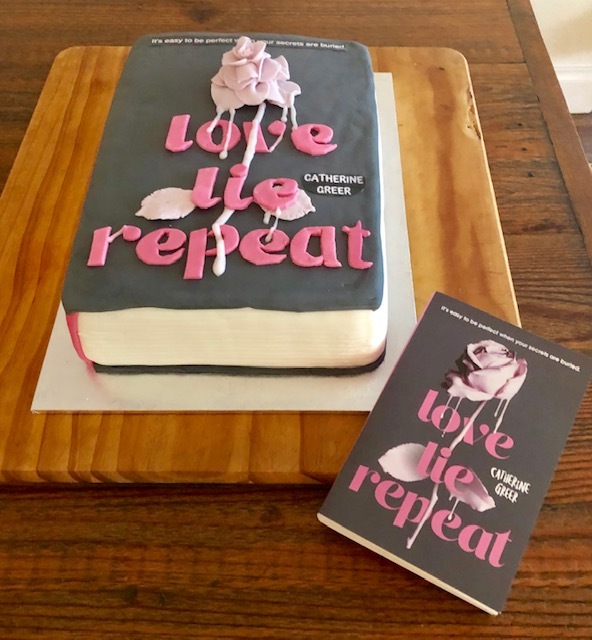 Here’s the Book Cake I created for my friend Catherine Greer, to celebrate the recent launch of her novel, Love, Lie Repeat. 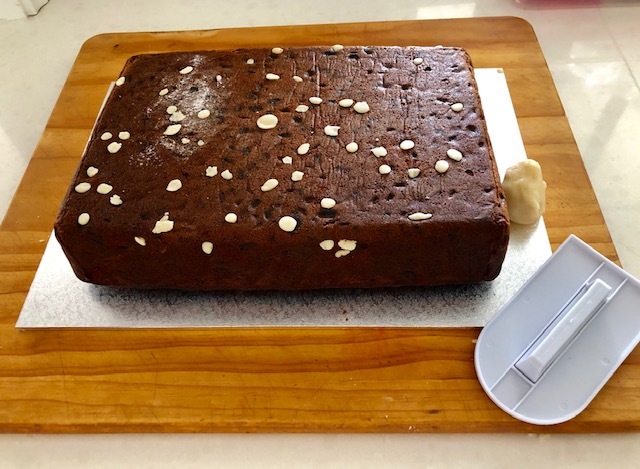 I used a wonderful fruit cake recipe I have to create ‘The Book”, a day before I began my adventure into cake decorating. Then I dived into ‘Cake Decorating 101’ by checking out a few Youtube videos and visiting a nearby cake decorating supply shop. First, the cake is covered with a layer of marzipan. 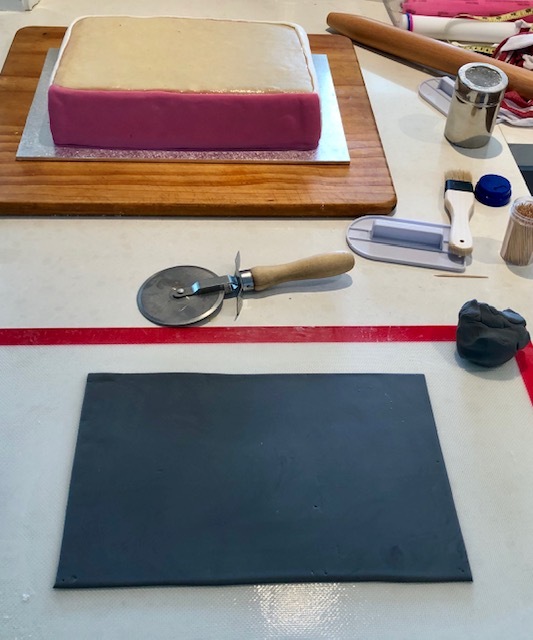 Then the cake is decorated with a product called, Fondant - an icing that has a dough like quality and can be easily rolled out, cut and shaped. 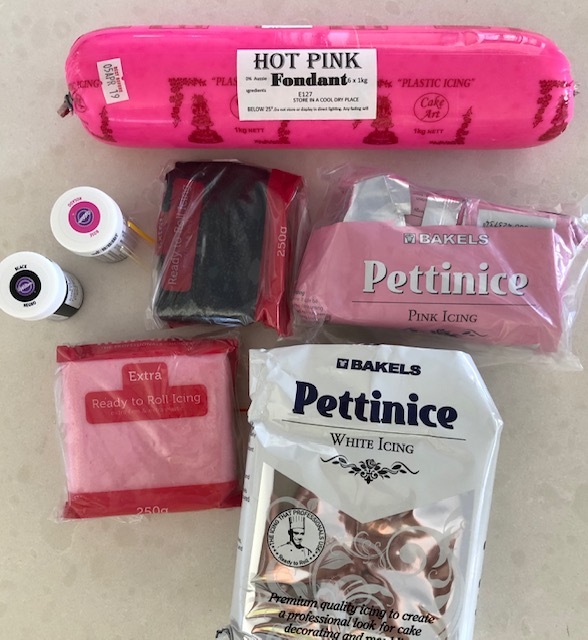 You can buy fondant in super markets or at a cake decorating supplier in a range of colours, or you can make your own coloured fondant. 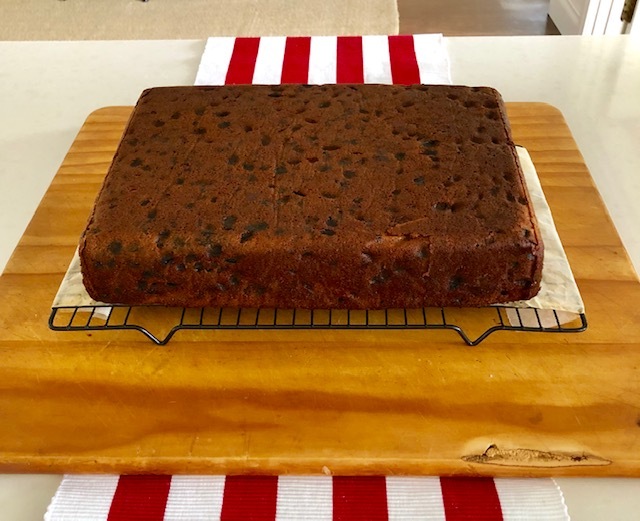 Once baked, a fruit cake has small indents all over the top and the sides. These need to be plugged with marzipan so the fondant on the top of the cake appears smooth. 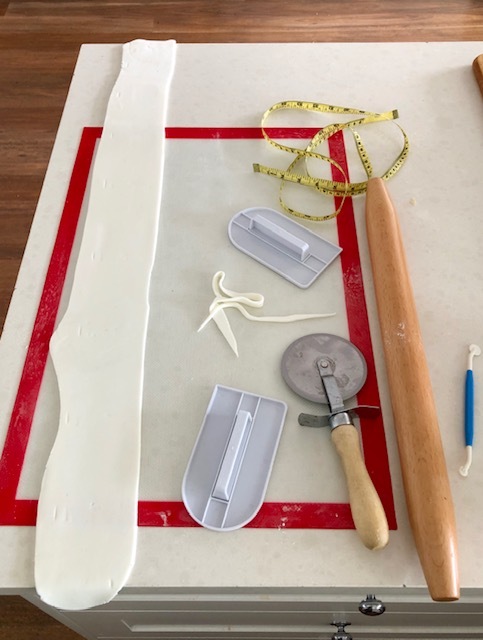 Equipment wise, all I needed to buy was a mat to roll the icing out on and a “smoother” (see below) to rub over the icing. 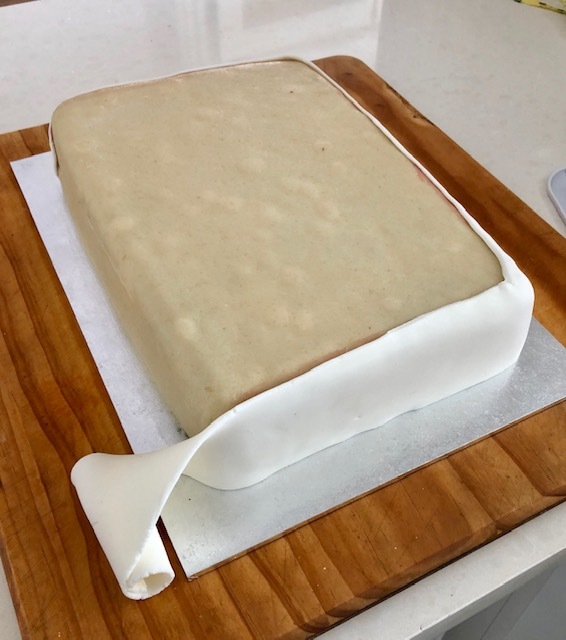 Apply a layer of marzipan to your cake as the fondant needs something to stick to. Roll out your marzipan to about 1/8 of an inch thick, drape it over your cake and trim. 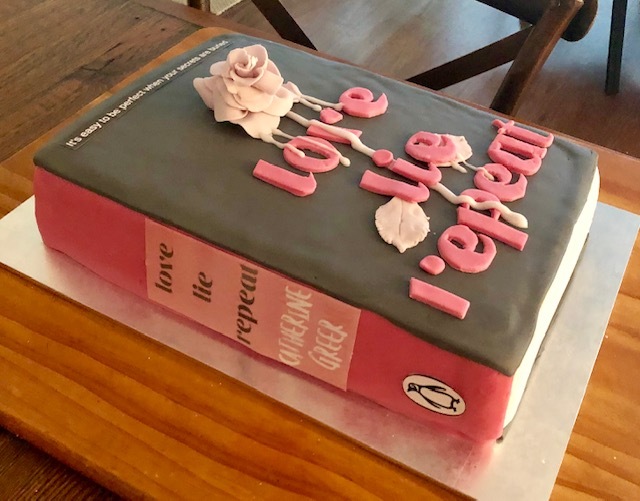 I used white fondant to create the pages on the side of the cake. Roll out your icing, measure and cut to size. Brush warm jam over the marzipan before applying any fondant. This is all part of making your icing stick. Once the white fondant was in place, I used a fork to scratch lines into the icing, giving the illusion of the pages. 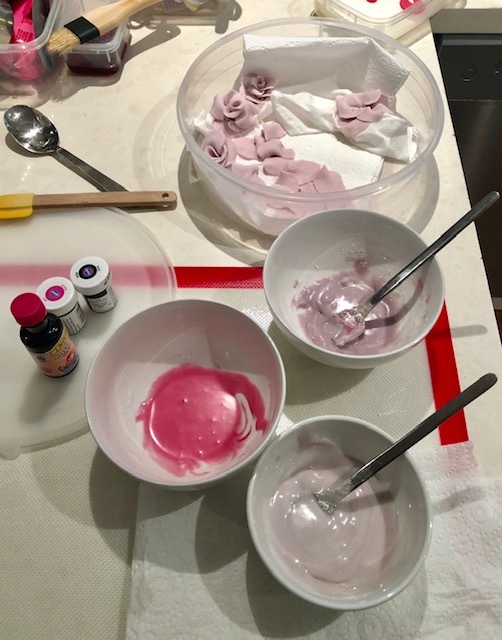 To make specific fondant colours, add your colouring to white fondant and knead like dough until the colour is worked through the icing. Wrap up any left over fondant and store in a cool dry place. It will keep for about 2 months. 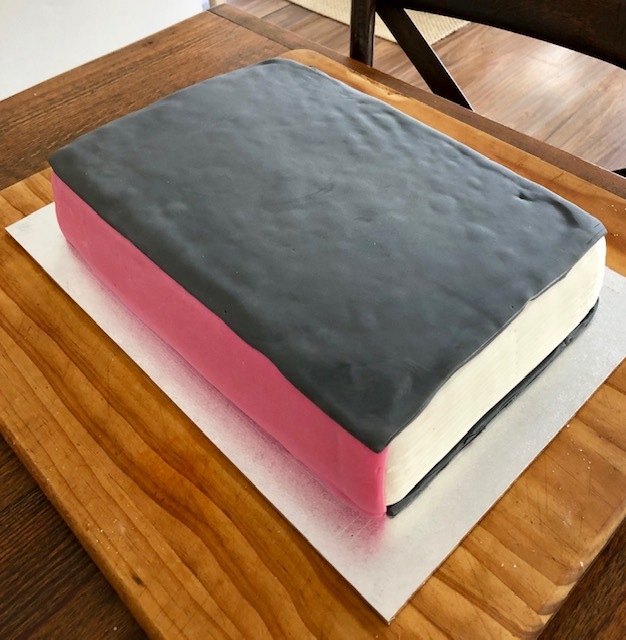 The charcoal grey colour I needed for the book cover was made by adding small amounts of black fondant to the white fondant and kneading the fondant until I had the colour I wanted. 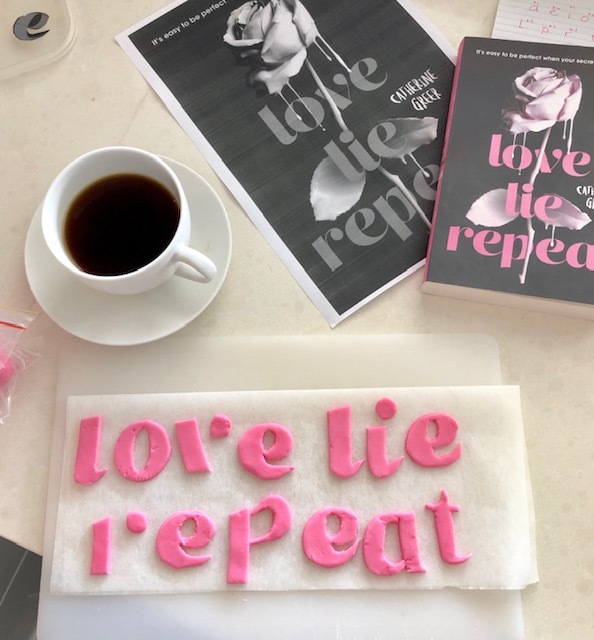 My book cake coming to life. I enlarge a copy of the cover, then cut out the letters to use as a stencil. Okay, by this stage in the procedure the wine is flowing in the kitchen and I’m singing along with Aretha Franklin. To make the rose, a stiffening powder was added to the pale pink fondant. I rolled out the fondant and cut petal shapes, twisting them into a 3D form and setting them aside to harden. Water acts like a glue when it’s brushed on fondant. When the petals were firm I brushed the base of each petal with a little water and played around with the shape until I’d made a rose. I must confess, my first couple of attempts ended up in the bin! The finishing touch involved sticking the printed text onto the book. Da-Dar! 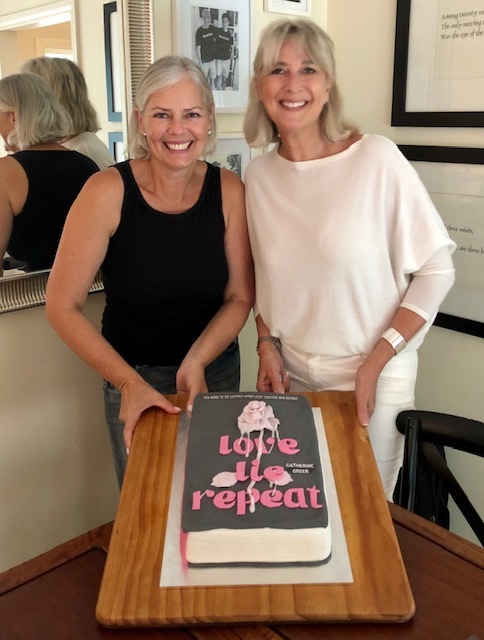 The best part was knocking on Catherine’s door and surprising her with the cake! Here are a few Youtube videos that really helped me. Have fun!